Mixed-media photo collage presents a new view of familiar things. Each art piece is based on original photographic images of common and ordinary objects… windows, doors, or buildings. Some of the photographs are mounted on foam board to give the final art work the illusion of having depth, while others are chosen to lay flat on the surface. They are then cut out and collaged with antique blueprints, wood, wire, paper, stamps, paint, colored pencil or other found items which enhance the feeling the images themselves impart. Completed pieces are titled and framed under glass in canvas-depth molding, assembled in antique boxes or drawers as three-dimensional collage constructions or are mounted on painted canvas supports. ...or go straight to the Gallery Page...HERE!!! 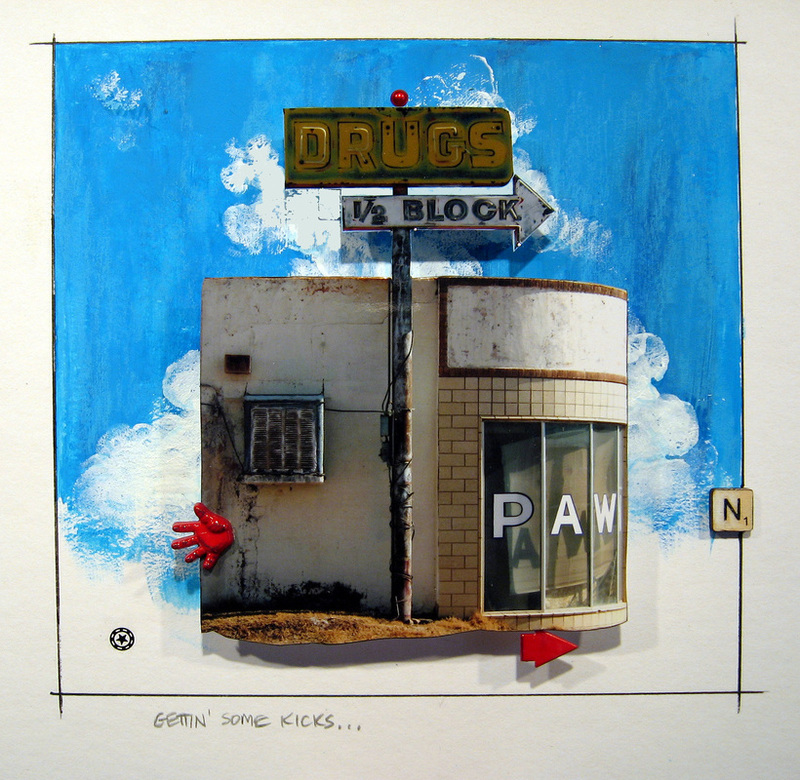 Camere de Letto... 10" x 20"
Gettin' Some Kicks... 10" x 10"
Along South Meyer... 6" x 18"
And Everything In Between... 8" x 30"